'The Prison Show' Helps Texas Inmates Find Escape Houston radio station KPFT's The Prison Show helps inmates connect to the outside by broadcasting messages from loved ones and even conducting on-air weddings. "This is a real dark, dark place," says inmate John Chris Hernandez, "and when the show comes on ... it brings a light into the cell." 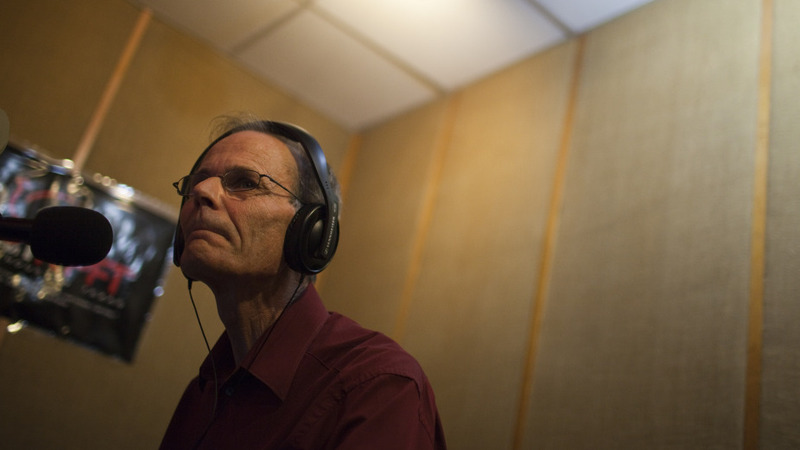 Reaching Behind Bars: Prison Show host and former inmate David Babb takes to the air every Friday night at 9 p.m. to deliver news about the Texas penal system and to take calls from listeners, who often have messages for their incarcerated loved ones. Every Friday at 9 p.m., thousands of prisoners across East Texas settle into their bunks, pull out their hand-held radios and tune in to The Prison Show, the only radio show in the country that caters to prisoners and the families they've left behind. The Prison Show has been trying for decades to relieve the harshness of the Texas penal system, which leads the country in executions and has the largest prison population of any state. It's run by a group of Texans who have set out to change the public's perception of prisoners by emphasizing that inmates aren't animals; they're fathers, husbands, sons and daughters. The show broadcasts from KPFT in Houston, a nonprofit Pacifica Network radio station based in an old house near the city's downtown. Its first hour offers news and talk about Texas prisons and courts, but it's perhaps more famous for its second hour, in which relatives of prisoners can call in live and deliver messages to their loved ones. The Prison Show is run entirely by volunteers like Storey Jones, who helps screen calls. Jones is also married to an inmate and currently in law school. "I am not soft on crime," Jones says. "But to [the prisoners], the show just shows that there [are] people out here supporting them, loving them; that they're not forgotten and that we do want them home. And they see that there are still connections and I think it gives them a little hope." When The Prison Show began in 1980, inmates in Texas weren't allowed to use the phone. So for relatives who couldn't afford a prison visit, the show was a way to quickly get a message to a loved one. For many families, that's still true today. Janice Oeffner places a ring on the finger of Dawn Williams during an on-air proxy wedding between Williams and a Texas inmate. On-air proxy weddings have become so common that The Prison Show has a wedding coordinator to help guide couples through the paperwork. One mother called in with this message for her son: "Always remember you are the love of my life and you are the best thing that's ever happened to me. And I am so proud of you and what you're doing. Please keep it up so you can do well out here because that's not a place for you to be." For someone randomly scanning the dial on a Friday night, hearing those messages can be startling. Doug Peterson works for NASA in Houston. He has no personal connection to the prison world, but he's tuned in to The Prison Show for years. "It was just so unique to me to kind of be immediately inside of these, what I think are, pretty personal conversations," he says. "You tend to think that convicts in a prison really don't have much of a love life and yet when the family members talk, it's all about love." In fact, The Prison Show regularly conducts live, on-air weddings between free-world women and incarcerated men; the groom listens on the radio from prison while his bride marries a stand-in known as a legal proxy. Show host David Babb, a former inmate himself, says the weddings reflect the show's overall mission of keeping prisoners connected to their wives, children and friends. "So many people go to prison and those relationships end," Babb says. "The families will write to them for a while, they'll go visit them for a while and it becomes a burden, it just tends to fades away." But the show gives prisoners a way to stay connected and the call-ins they get from children are proof of that. One daughter left this message for her incarcerated dad: "Well, school's going great. I don't have any classes with my friends but I'm seeing that as the bright side to make new friends ... And I'm just loving school right now. So I hope you can wish me luck when it comes to all the tests I have to take this year. OK, love you, Dad. See you soon, I hope." 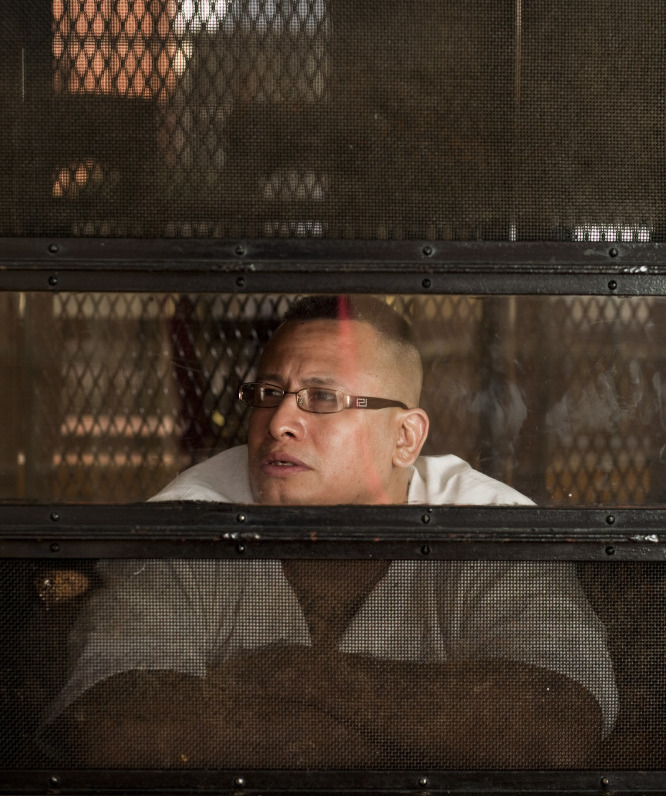 John Chris Hernandez listens to The Prison Show from his cell at the Eastham Unit penitentiary in East Texas. Hernandez is currently serving a life sentence for murder. The Prison Show can be heard in 14 prisons across East Texas. One of those facilities is the Eastham Unit, which sits north of Houston, in the middle of vast fields where inmates raise cattle and grow cotton. John Chris Hernandez is serving a life sentence at Eastham for a drug-related murder. He's tall and clean-shaven. The dark edges of prison tattoos peek above the neckline of his rough, white shirt. 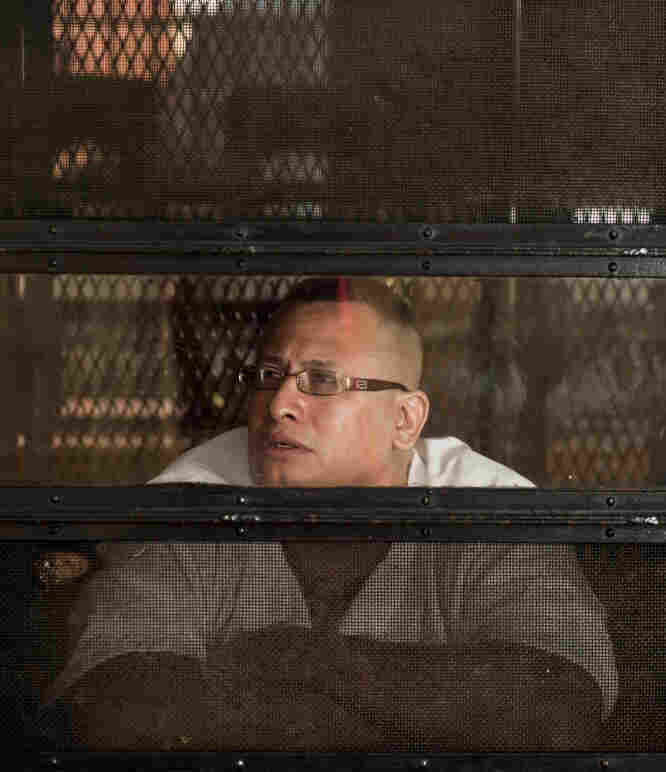 Hernandez has three teenage daughters who come on The Prison Show almost every week. "Every little bit counts, every little bit of communication," he says. "It keeps them going; it keeps me going. I'm not the only one doing time, they're doing time with me." Hernandez says that because of the show, he's up to date on even the smallest details of their lives, like whether Alexus won her soccer game or Stacee got her learner's permit. "This is a real dark, dark place," Hernandez says, "and when the show comes on, even when it's dark, it brings a light into the cell." The Texas Department of Criminal Justice gets criticized a lot on The Prison Show for things like allegedly denying medical care or the lack of air conditioning. But department spokeswoman Michelle Lyons says the program is also quite helpful. She's asked the host to squelch prison rumors or tell families which prisons will be evacuated before a hurricane. No one's ever studied The Prison Show or its effect on inmates who listen, but research indicates prisoners who stay in touch with relatives while in prison do a better job of rebuilding their lives when they get out. Babb says even prisoners who don't have a family can get something out of the show. "There's somebody that believes in them, and there's somebody that doesn't look at them like the beast that the media does," he says. The KPFT radio signal reaches just one-sixth of all Texas prisoners, but Babb says his dream is to one day send that signal through the walls of all 111 Texas prisons. He also wants people in other states to start their own shows so they can help spread his message to the more than 2.2 million Americans currently behind bars.